Is Divorce Looking Likely? Don’t Get Blindsided – Get Represented. What does divorce mean for me? The legal system may be completely overwhelming and foreign to you, and the divorce process can add even more stress because of the emotional tension and turmoil that has led to one party seeking a divorce. Know that you are not alone. Millions of people have had to go through this same process. It may be scary at first, but it is manageable. With that being said, divorce is different for everyone. Some people have been married for most of their lives and have no idea what life without their spouse would be like. Others have been estranged for a long time and divorce is just the final component to an otherwise terminated relationship. Others have children, intertwined finances, complicated relationships, joint assets, businesses, or new boyfriends/girlfriends. Since the possibilities are virtually limitless, there is no one answer to determine what divorce means for you. Meeting with a divorce lawyer does not mean you have to get divorced, or that the process can’t be civil. 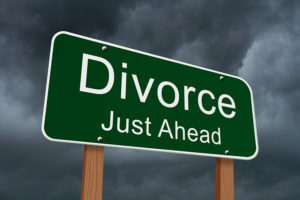 Some people meet with a divorce attorney before getting married so they can avoid the pitfalls that lead to bitterness. This can save you years of fighting in court if the marriage ultimately fails. What can I do to prepare for divorce, and what is my role? The most important thing to do is to find an attorney you connect with and are comfortable with. The divorce process may or may not be cordial and easy, but there has to be a level of understanding between a client and his/her attorney. Once you’ve found the right divorce attorney, it is imperative to listen to her and follow her instructions. There is a reason she is telling you to do certain things – some actions that seem trivial or unnecessary may be the very thing that could prevent you from losing custody of your children, losing your house, having to equitably distribute your retirement account, or any number of other results common to divorce. If you can’t, or won’t, listen to your attorney, you should find someone you will listen to. It is in your best interest. Assuming you are the kind of person who listens to his/her attorney, you will likely be counseled to maintain appropriate decorum. You will be advised to moderate your emotions when interacting with your soon-to-be-former spouse. This isn’t always an easy task, but it is important. Your role in your divorce is to be active, responsive, truthful, and present. Another big part of the divorce process is gathering the requisite paperwork, including financial documents, sometimes dating back years. There will be mandatory forms that may not seem important to you, but will be important to your attorney, opposing counsel, and the judge. Always remember that while your attorney is your representative, and in many ways your protector, it is also important to protect yourself. Read each question when you have time to focus on it, and answer it accurately and thoroughly. If your lawyer has too much information, she can sift through to find what she needs. However, if you don’t give her some piece of information that later becomes relevant, she may not be able to protect you properly, if at all. The bottom line with paperwork is that nobody likes it, but it is valuable. Make the paperwork work for you, not against you. You’re so cool! I don’t suppose I’ve learned anything like this before. So nice to search out someone with some authentic thoughts on this subject. Really! Thank you for setting this up. This website is something that is wanted on the web, somebody with a little originality. Nice job bringing a new to the internet!